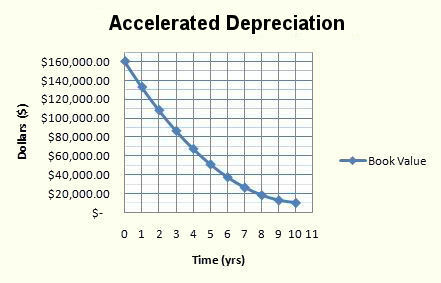 Description of Accelerated Depreciation. Explanation. Accelerated Depreciation (AD) is an approach (consisting of a number of methods) to calculate depreciation in which a higher amount or percentage of a fixed asset's value is written off in the early part of its life than in later parts. 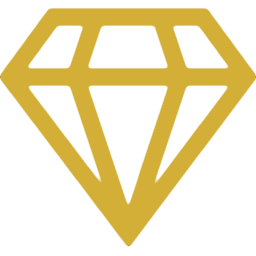 So in simple terms, AD methods allow faster write-offs than the straight line depreciation method (which spreads the cost evenly over the life of an asset). For financial accounting purposes, AD is generally used in case an asset is expected to be more productive during its early years, so that depreciation expense will more accurately represent what part of an asset’s usefulness is being used up each year. For financial reporting purposes, the two most popular methods of AD are the single and double declining balance methods and the sum-of-the-years’ digits method. For tax purposes, AD provides a way of deferring corporate income taxes by reducing taxable income in current years, in exchange for increased taxable income in future years. For tax purposes, the allowable methods of accelerated depreciation depend on the tax law that the taxpayer is subject to. In the US, the two currently allowable depreciation methods for tax purposes are both AD methods (Accelerated Cost Recovery System (ACRS) and Modified Accelerated Cost Recovery System (MACRS)). Companies typically have to pay corporate income taxes on profit they make. This profit basically equals to revenues minus expenses. The higher the expenses, the lower the profit, the lower the corporate income tax for that year. 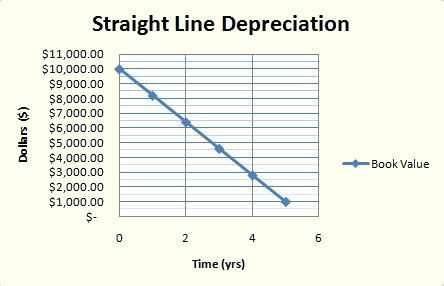 Depreciation is one type of expenses, as are also: salaries, materials, amortization, etc. Suppose a company buys a capital asset (any asset which can be used for many years, for example a machine or a computer), it could be willing to take the entire cost as an expense immediately in order to decrease the corporate income tax for that year. However firms in most jurisdictions must amortize the cost of assets over some period, usually an approximation of the useful life of the asset. Accelerated depreciation methods are popular for writing-off equipment that might be replaced before the end of its useful life since the equipment might be obsolete (e.g. computers or PDAs). Because of the time-value of money, there is a significant tax benefit to the company for using AD. it frees up cash flow and reduces the effective cost of the asset. Also you can view AD as a form of debt-free leverage, by essentially borrowing money, tax-free and risk-free, from the government (because of the up-front tax deductions). Governments typically allow for this to encourage investments by firms. This ends our Accelerated Depreciation summary and forum.